Requirement : Candidates should have minimum 5 to 8 years of experience in Software Development, C++ C# and WPF on Windows. Candidates must be able to prepare unit test plans of UTP. Candidates should have excellent communication and problem solving skills. Wipro is looking for strong experienced candidates for post of L3 Developer to work at Hyderabad and Secunderabad location. Requirement :Candidates should have minimum 3 to 5 years of experience of domain and relevant products, Data warehousing, UNIX shells like Bourne, Korn, C and bash. Candidates should have knowledge of at least one development technology and programming. 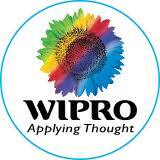 Wipro is looking for strong experienced candidates for post of Engineer to work at Chennai location. Requirement:Candidates should have minimum experience in Software Development and applications. Candidates must be able to work in environment of any shift. Candidates should have excellent communication and problem solving skills.